We can hook you up with Medical Marijuana doctor coupons, deals, vouchers and great low price offers for first time Medical Marijuana evaluations or renewals in Sacramento. 420EvaluationsOnline automated processes with a human touch make it possible for us to offer the most competitive price in the business and provide you with the best 420 deals. In this article - we cover the important issues relating to Marijuana in River City. How can I Legally Buy - Grow - Possess Medical Marijuana in Sac. The City of Sacramento has a population 400,018. SacTown Metro has a population approaching 2 million. The Big Tomato is a city on it's way up, for quite some time. There is a lot going on in both the business and governmental sectors. Innovative mass-transit, cultural programs and activities, affordable housing and medical facilities are testament to progressive city policies. Like many other Californian cities, River City came to life during the Californian Gold Rush. In 1849, Sacramento became California's first charter city. You might call Sacramento conservative, but City Hall is liberal when it comes to Medical Marijuana. In 2016, it has never been easier to access good MMJ. In 2016 there were about 30 legal dispensaries in operation within city limits. The city allows indoor personal cultivation, up to 400 square feet, in patient's homes. The city also took steps to encourage indoor cultivation so long as the zoning was agricultural and was not near a public school. 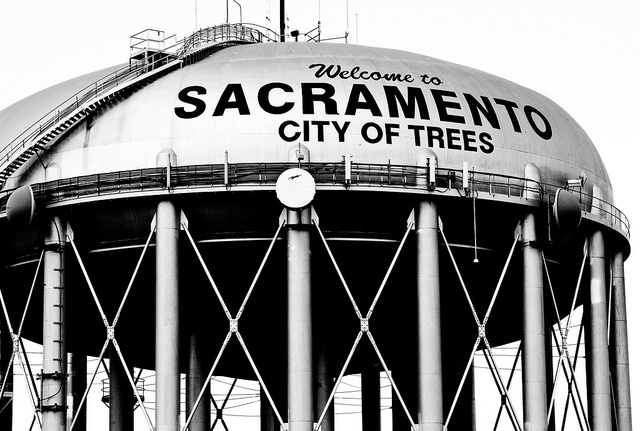 On November 20, 2012, the City of Sacramento adopted a compromise personal use medical cannabis cultivation ordinance. It bans outdoor cultivation but alternative structures are acceptable if compliant. June 17, 2014, the Sacramento Board of Supervisors adopted an ordinance allowing nine indoor plants per parcel. April 22, 2014, the Board voted unanimously to ban outdoor medical marijuana cultivation in unincorporated areas of the county, but chose not to ban indoor cultivation and rather work with advocates to develop an indoor ordinance. The outdoor cultivation ordinance that passed carries penalties of incarceration and fines, plus administrative fees. (See Title 16.18 of Sac County Code). Any patient who is impacted by local ordinances can write to Sacramento NORML. You have the option to Apply for a Variance to the Zoning Code, at growing time or at the time of a complaint. Disclaimer: Before acting, readers are advised to refer to the Sacramento City or County Websites to cross-reference information provided here. HOW & WHERE CAN I BUY MEDICAL CANNABIS LEGALLY IN SACRAMENTO? To purchase Marijuana from any licensed Marijuana Dispensary or Club in Sacramento, you'll need a Doctor's Recommendation and / or MMJ-ID. Click here to get a legal recommendation in minutes. The process is 100% online, and is much faster and cheaper than a visit to the clinic - and clients don't pay a dime - until a medical doctor has approved their case. Sacramento Mayor, Kevin Johnson publicly supports of Proposition 216, the Compassionate Use Act This California Legislature dissolved the biggest barriers to Marijuana's Medical use by establishing guidelines, rules and regulations for MMJ. Prop. 216 exempts medical-marijuana (MM) collectives and cooperatives from criminal liability for possession, cultivation, possession for sale, sale, transport, importation, and furnishing marijuana, and for maintaining a facility for selling or furnishing marijuana. Medical Board of California (MBC) enforcement of MM recommendations, conditions and symptoms and what constitutes unprofessional conduct. Click to apply for Sacramento Medical Marijuana Card renewal.